Asset Sale! 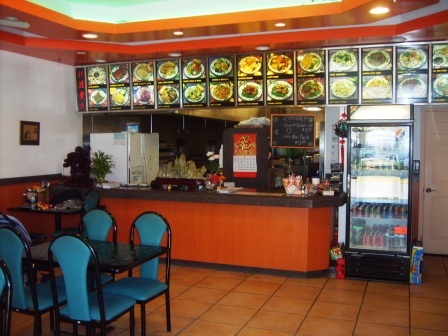 Chinese Food Take-Out Restaurant For Sale Apollo Beach, Florida for $39,900! Located in an established plaza with a neighboring Publix. Low rent! Restaurant has been built-out to accommodate and operate as a Chinese Restaurant. Currently the business is closed due to owner’s health. Move in ready for those who want to launch their business model. Includes all equipment. Seats 12 inside and 8 outside. For more information and general estimates for earning potential for a Chinese Restaurant Go Here. This is an asset sale. Currently no income is being generated. Great opportunity for someone looking to venture into a similar business. The space has been built out to accommodate and operate as a Chinese Restaurant. For more information and general estimates for earning potential for a Chinese Restaurant Go Here. Unfortunately there is no seller financing and since there is no established income, this business will not qualify for a business or SBA loan. However, if financing is needed for startup cost you can review additional Financing Options Here. Expenses will vary for each restaurant owner depending on the type of restaurant, number of employees, and location. On average restaurant expenses usually include: payroll, payroll taxes, workers compensation, accounting, advertising, supplies, food, electric, property rental fees (usually includes water and garbage), permits and licenses, phone, and liability insurance. Currently the owner leases the property. Lease terms include 4.5 years remaining at $1689 per month. New owner must be approved to take over. Note: New buyer will negotiate and sign lease terms with the property owner. Currently located in Apollo Beach, Florida. Physical address will be released to qualified buyers upon execution of an NDA. current list of equipment includes: Hood, Walk-In Refridgerator (7×7), 3 Compartment Gas Wok Burners, Bread Oven (4x3x4), Prep Refrigerator, Deep Fryer, 3 Compartment Sink, 1 Compartment Sink, Prep Table, 6 ft tall Refrigerator, Freezer (3×4), Freezer (3×6), Beverage Cooler, Prep Table, Refrigerator, Ricer Cooker, Rice Warmer, Tables, Chairs, Mop Bucket, and a ladder. Estimated value $40,000. Restaurant is 808 sq. ft. and seats 12 inside and 8 outside for a total seating of 20 customers. No, due to the location of the store in and its proximity in the plaza there is no option for a drive-thru, however most Chinese Restaurants offer take-out service. New owner may choose to offer delivery service. Owner purchase 6 months ago. Owner is unable to operate due to health. On average Chinese Restaurants are open from 10am to 9pm, Monday-Sunday. New owner may set their own hours. Currently this plaza has the following businesses: Nail/Spa, UPS store, Furniture Store, and more. Located in an established plaza with a neighboring Publix. Low rent! 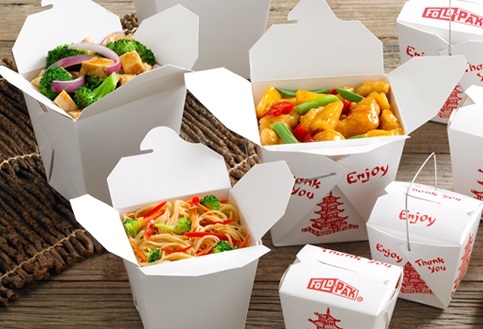 Restaurant has been built-out to accommodate and operate as a Chinese Take-Out Restaurant, however new owner may purchase and bring their business model and operate as any type of restaurant. Priced to sell at $39,900 with all equipment included! For additional information and to evaluate this business further Contact Us About This Restaurant Here!